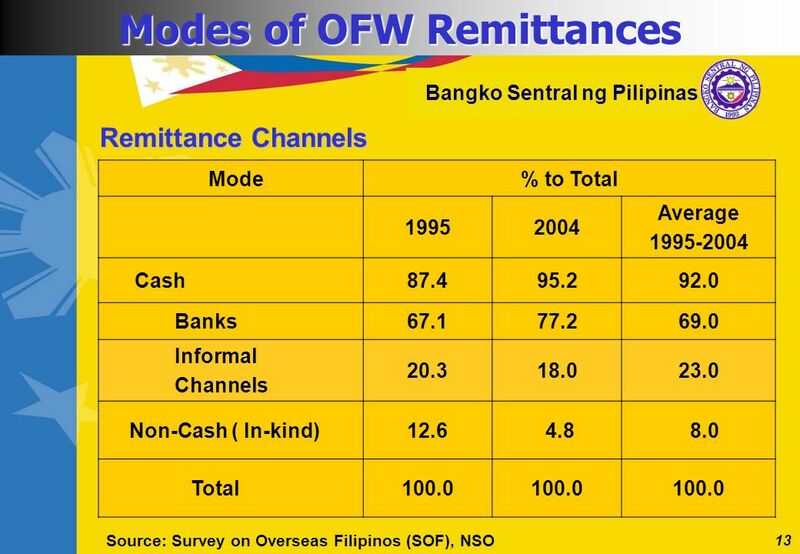 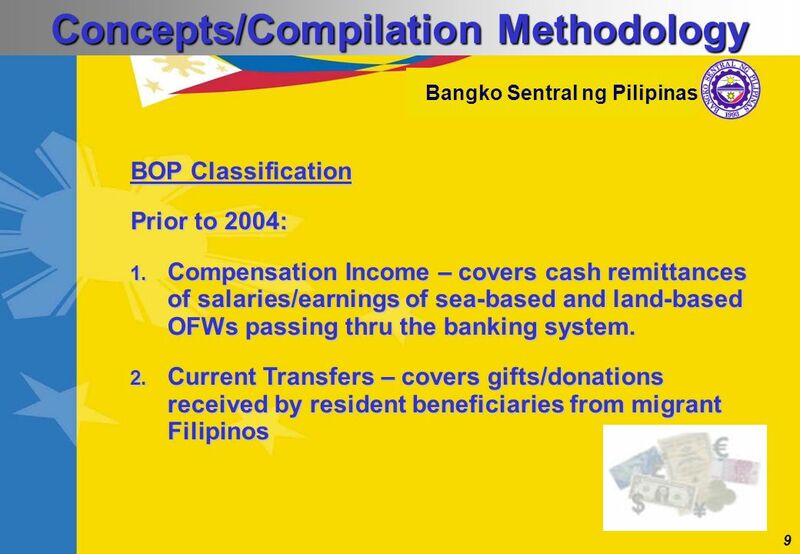 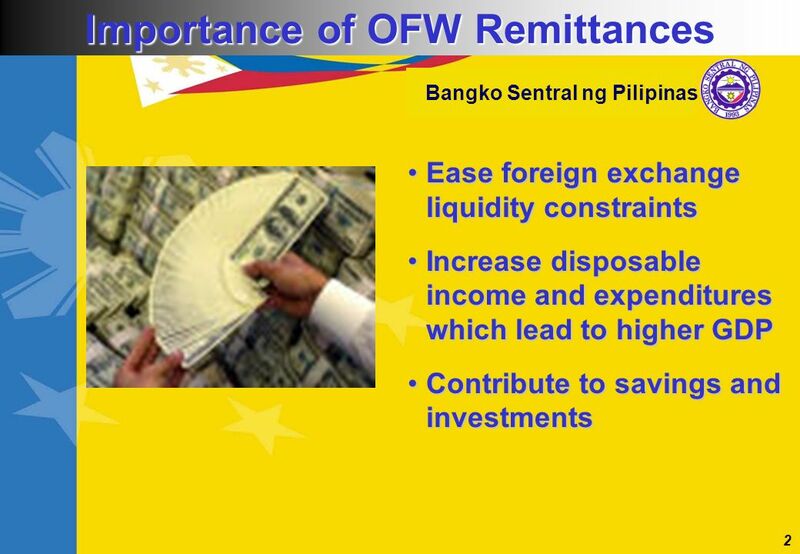 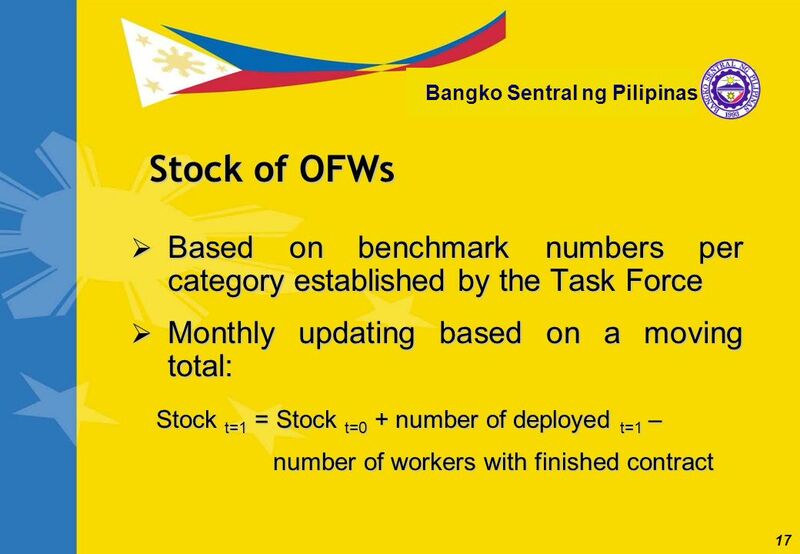 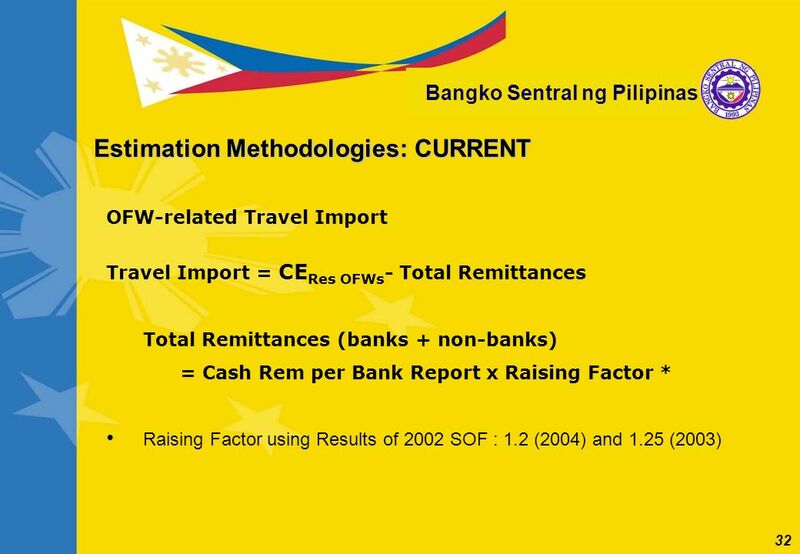 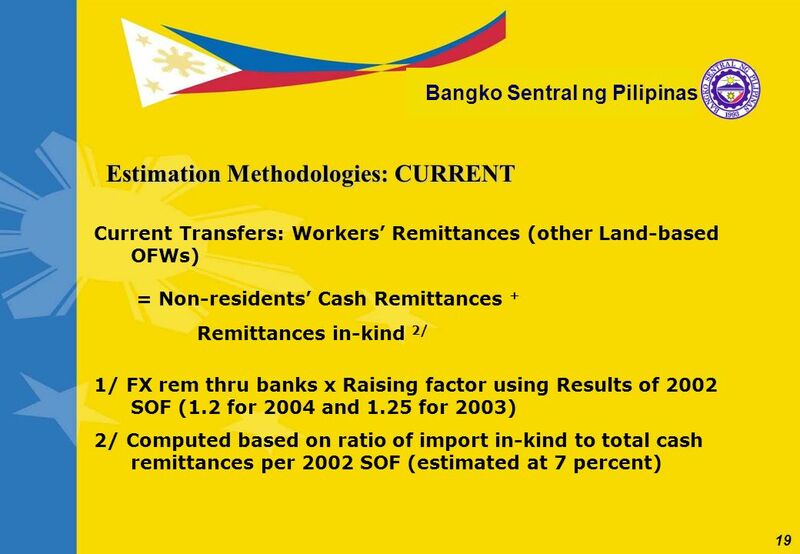 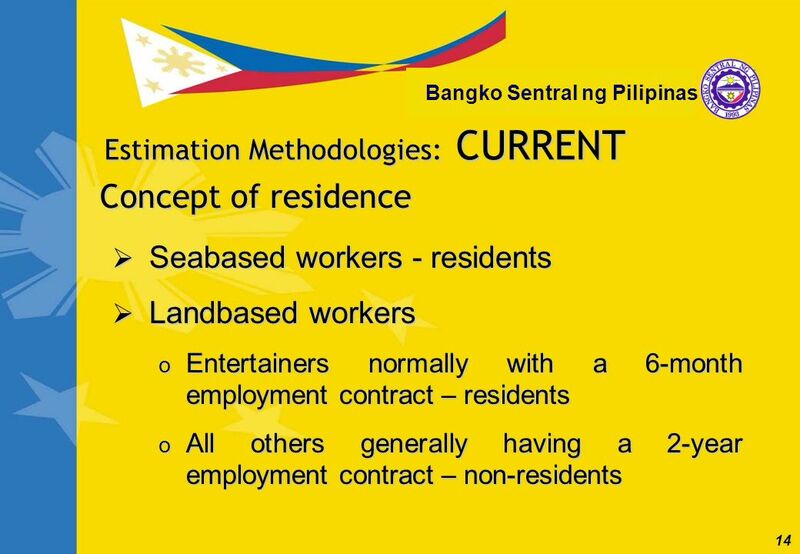 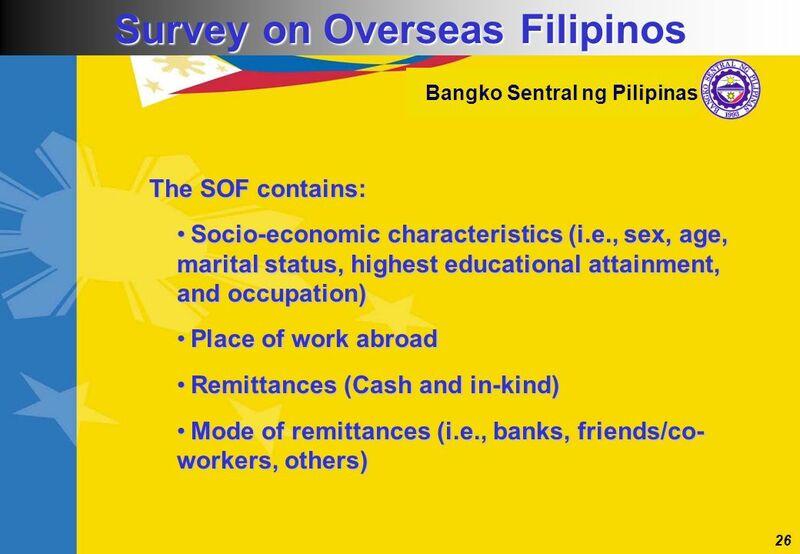 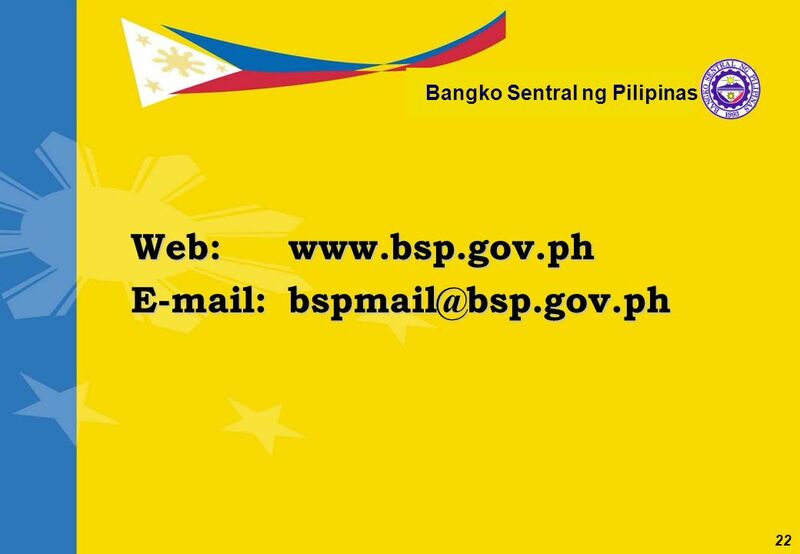 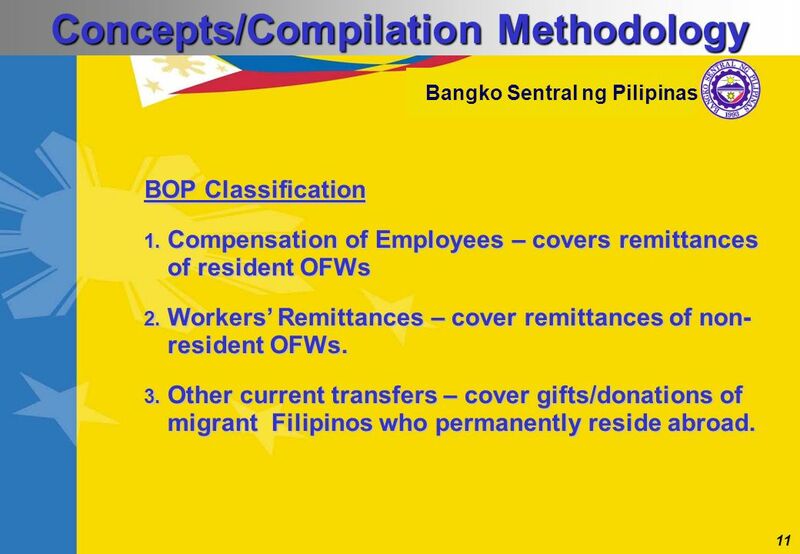 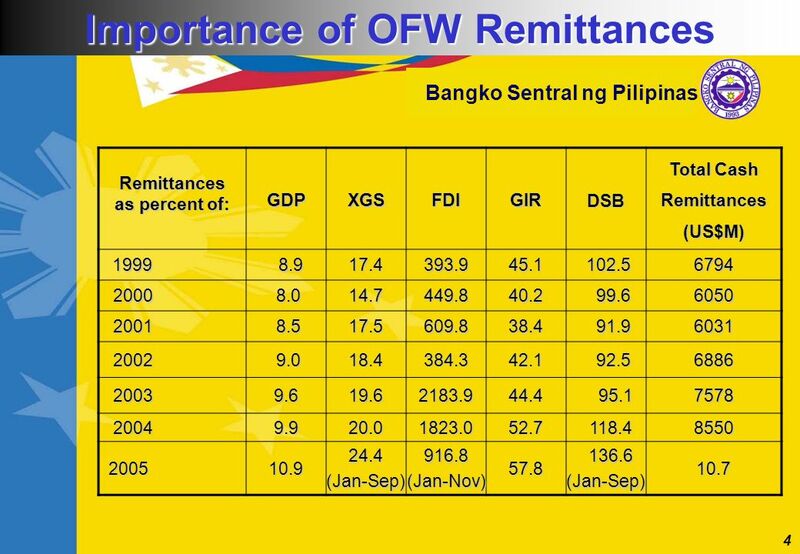 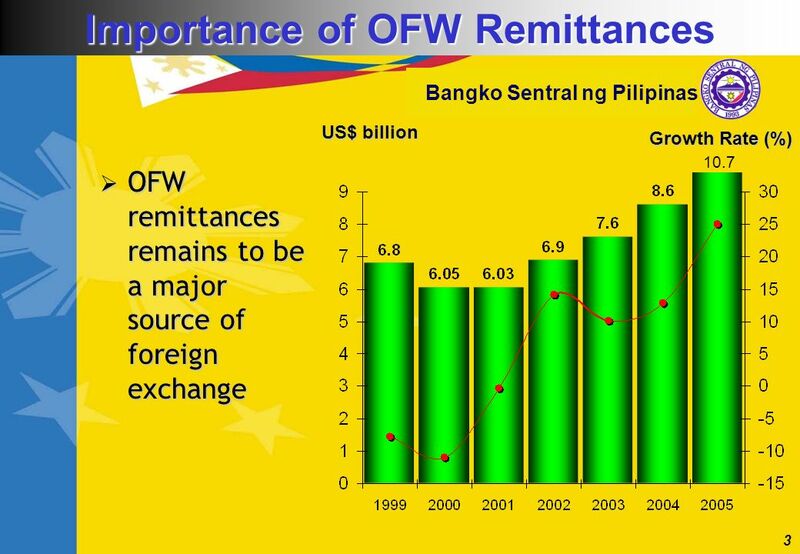 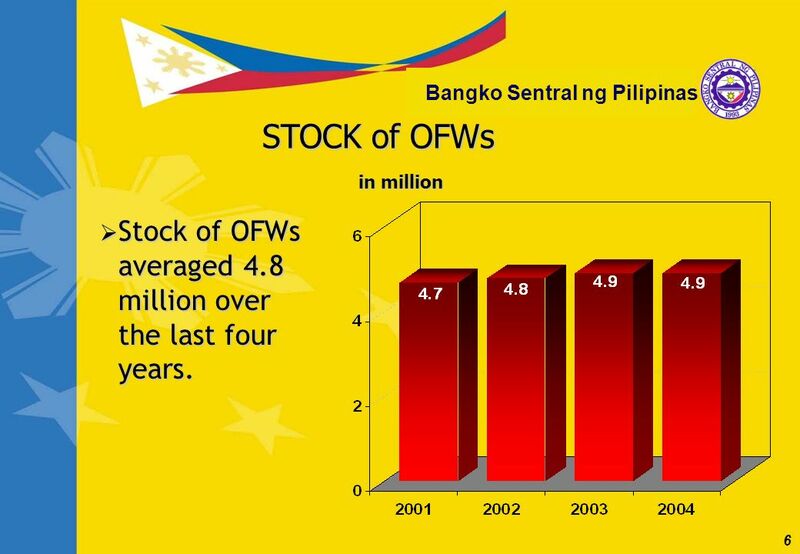 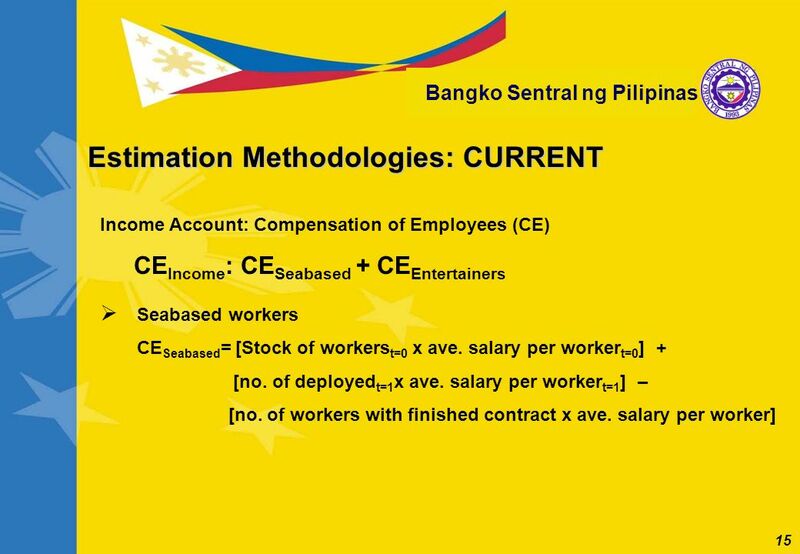 The Government of the Republic of the Philippines Bangko Sentral ng Pilipinas OFW Remittances in the Philippines. 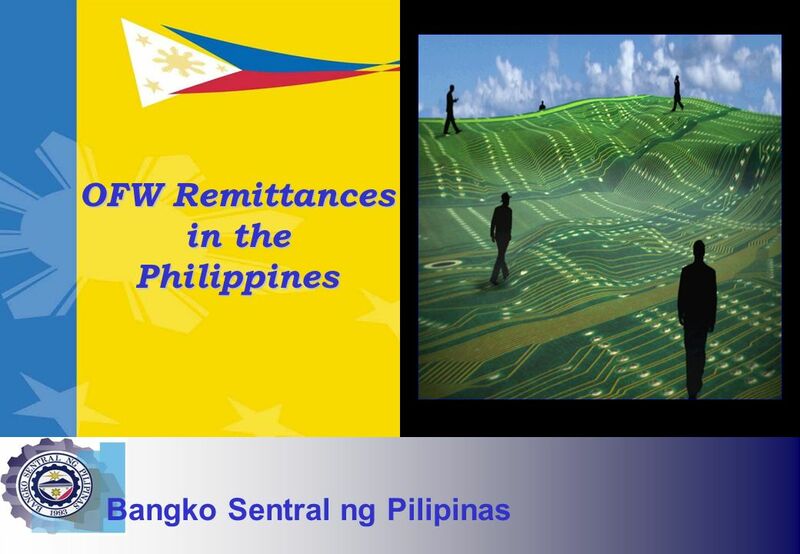 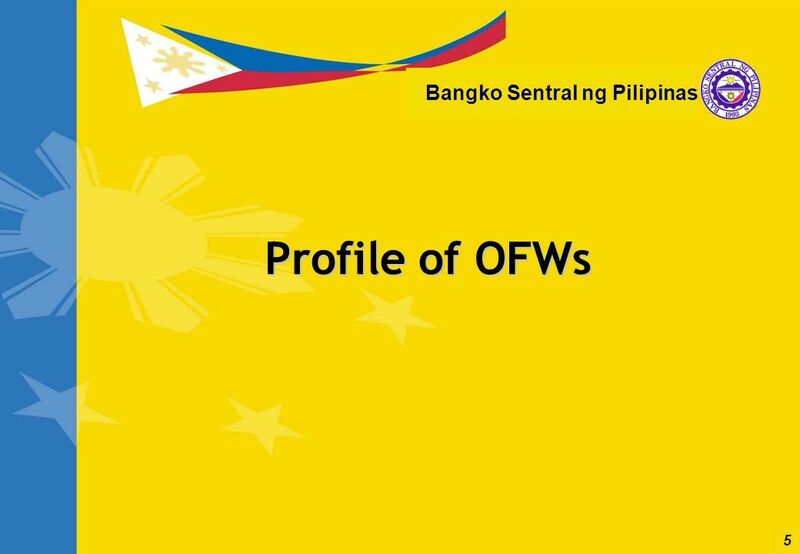 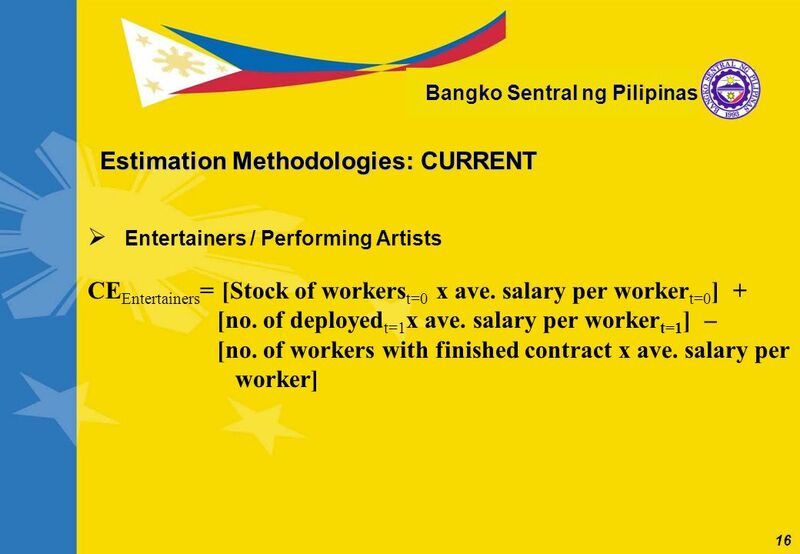 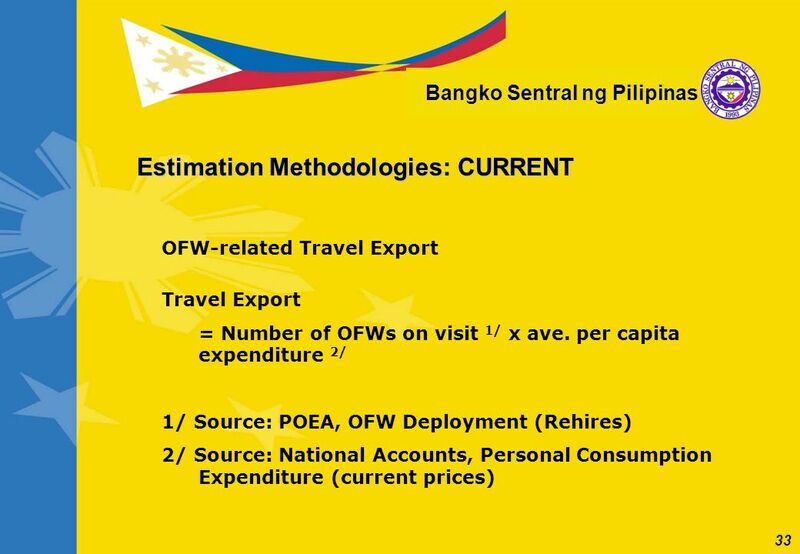 Download ppt "The Government of the Republic of the Philippines Bangko Sentral ng Pilipinas OFW Remittances in the Philippines." 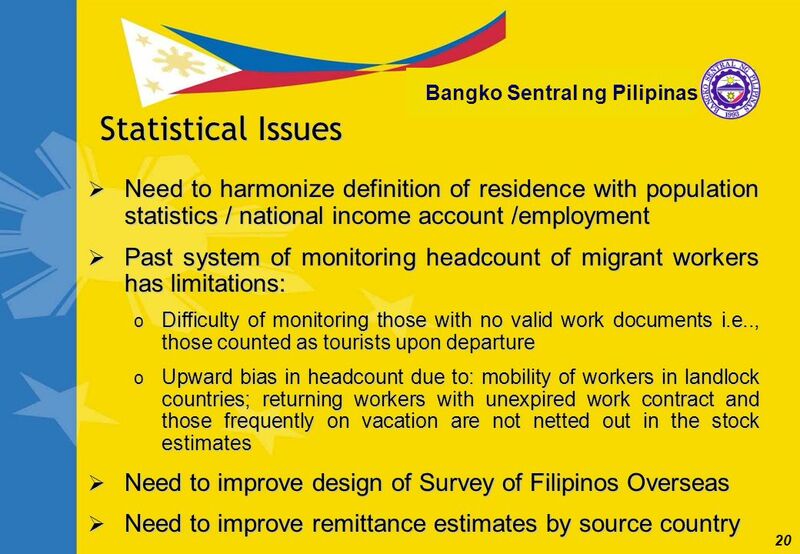 Global Forum on Gender Statistics JOEncarnacion/26-28January 2009 Republic of the Philippines NATIONAL STATISTICAL COORDINATION BOARD 1 Efforts of the. 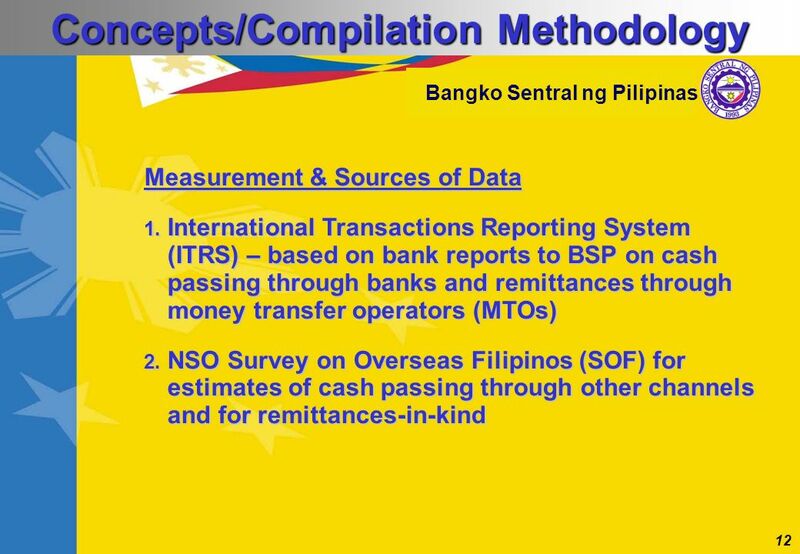 Republic of the Philippines NATIONAL STATISTICAL COORDINATION BOARD 1 International Workshop From Data to Accounts: Measuring Production in National Accounting. 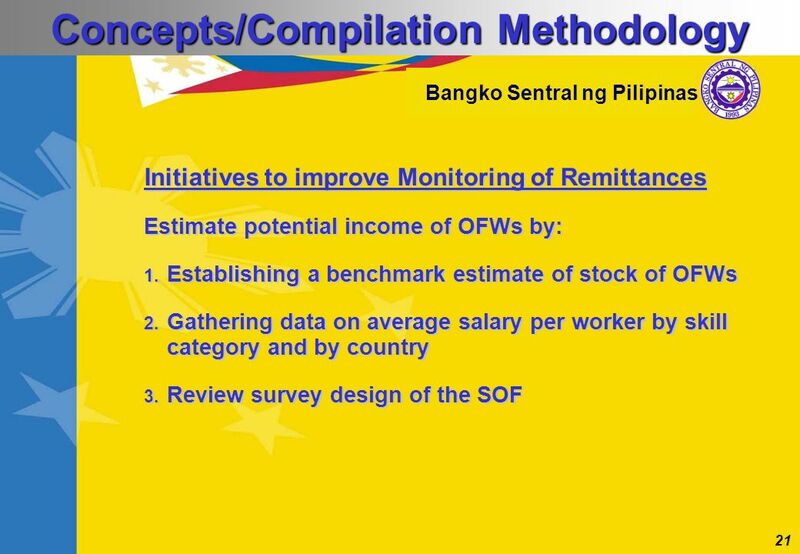 Statistical Measurement of O VERSEAS F ILIPINO W ORKERS Remittances: Present Practices and Future Direction A Presentation to the International Technical. 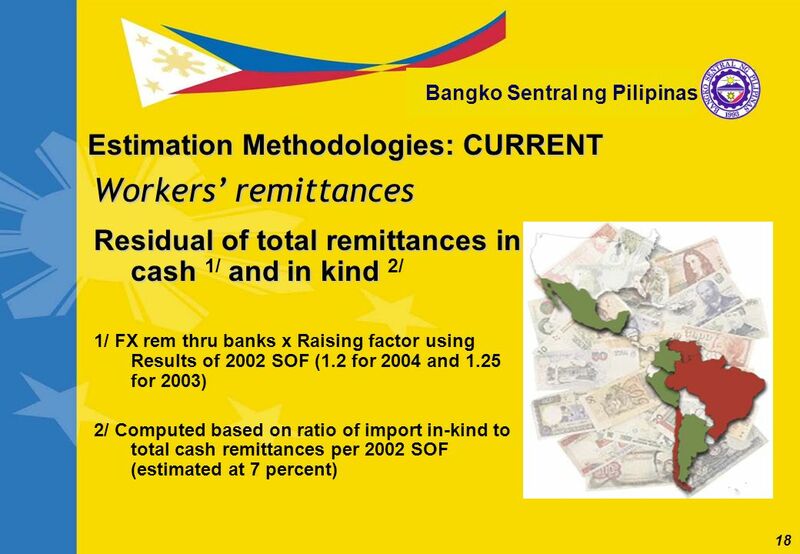 Measuring remittances: the issue of definitions Hania Zlotnik Population Division/DESA United Nations. 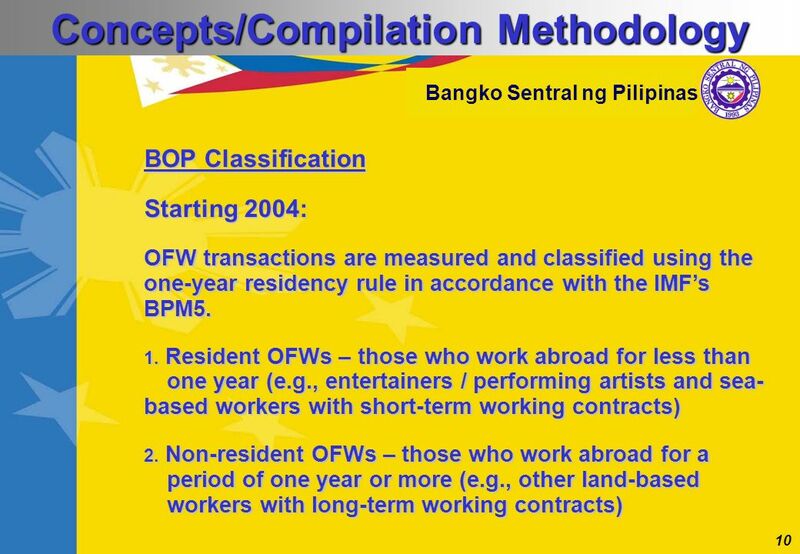 Labour Force Historical Review Sandra Keys, University of Waterloo DLI OntarioTraining University of Guelph, Guelph, ON April 12, 2006.